Nautical artifacts and polished brass, rediscover your tranquility with an enchanting step back to a simpler time: two white wicker, extra-long twin beds with cozy white spreads, a warm glow on a gabled ceiling, and a captain's sea chest. Twin berths below decks in the gabel-roofed foc's'le, this is a room to dream in. 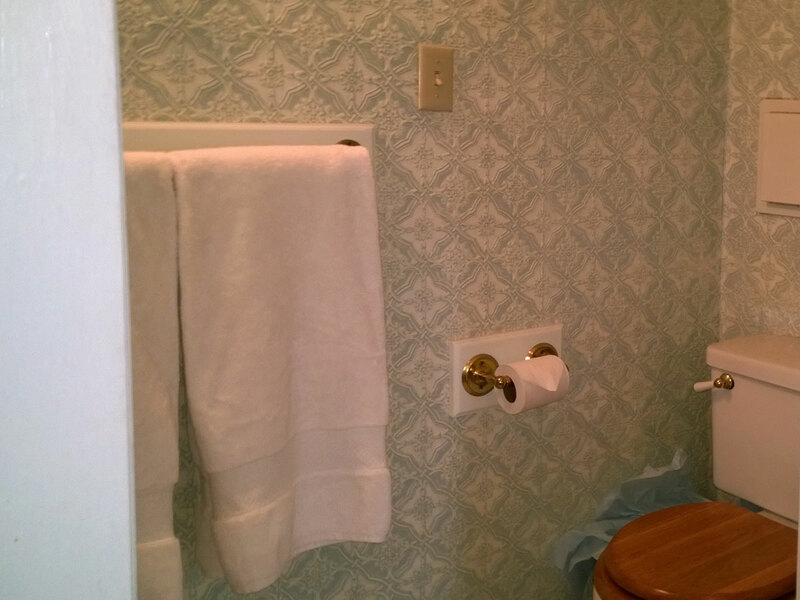 The private bath features textured wallpaper and a shower. The Victorian tiled sink rests in your bed chamber. 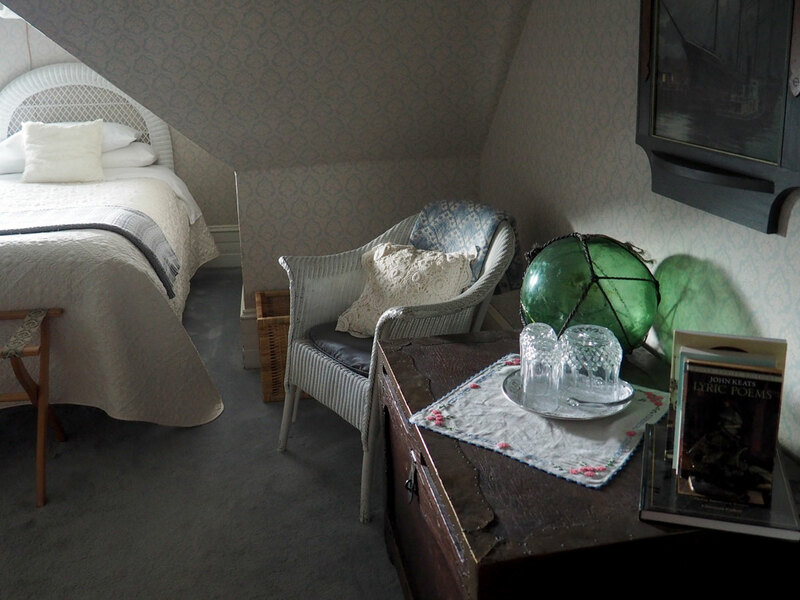 This room is furnished with twin beds nestled beneath gabled ceilings. Perfect for sojourning friends or family!